Wheel, disc, or symbol of the sun, attribute of the god Vishnu. 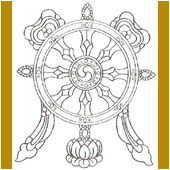 Also, the Wheel of the Law, symbol of the doctrine which the Buddha set in motion when he gave his first sermon; symbol of the eternal cycle of birth, death, and rebirth; one of the marks of an enlightened being; a center of spiritual energy in the body. The five chakras representing the five elements in nature are located in the spinal column. They belong to the subtle body and are not visible. They are contact points for the psychic and the physical body. They are considered centers of energy. Two other chakras are located in the head: the Ajna chakra- Third Eye – is the center of consciousness; and the Sahasrara chakra, located on top of the head, is the center of pure consciousness or the mind. The dynasty that has reigned in Thailand since 1782. The chaitya is a stupa, a religious structure exclusively Buddhist. It was originally small, a repository of the ashes of holy monks, and thus a monument to the departed monk. 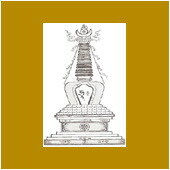 It evolved into an object of worship, and became larger and higher, with ca square base topped by a manadala – a round one – with steps to the upper level, each step representing a heaven. 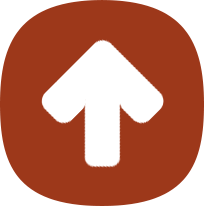 The apex or peak is a conical piece that stands for the mythical mountain of Mt. Sumeru, the enter of the world, where a Bodhisattva could find himself in sunya – void. The stupa represents the Buddhist universe; it is also a Buddhist sanctuary. Sometimes around the wall of the mondala, but often on the four sides of the square base, are the figures of the Dhyani Buddhas; Akshobya, Ratna Sambhav, Amitabha, and Amoghasiddhi. 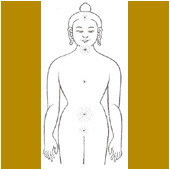 The fifth dhyani Buddha is Vairochana, who is at times found in the center, or in the East Side along with Akshobhya. In Tibetan the stupa is called a chorten and has the same significance as a symbol. People inhabiting central and southern Vietnam since ancient times, probably of Indonesian origin. They founded an Indianized kingdom called Champa, and produced a unique style of architecture and sculpture, known as Cham art between the 7th and 17th centuries C.E. An early Indianized kindom in the coastal areas of central and southern Veitnam, existing from the 2nd to the 15th centuries C.E. It was briefly controlled and annexed by Cambodia (1181-1220), then gradually absorbed by the Vietnamese from the late 10th to 17th sites are located in the Danang region of present-day Vietnam. Chaitya or cetiya; a monument to enshrine the relics of the Buddha or his disciples, a reminder of the Buddha, or the ashes of the dead. Burmese name for the stylized lion seen guarding temples. A bunch of sky; sky-tassel. The finial on either end of the roof peak of Buddhist temples in Thailand. Shaped like a stylized bird's head. It symbolizes either Garuda, the mount of the god Vishnu, or hamsa, the month of the god Brahma.